SAITAMA - Mao Asada moved within grasp of her seventh national title with a fine short program on Sunday in the All-Japan Championships at Saitama Super Arena. Mao skated to “Nocturne” and earned a score of 73.01 to grab a nearly three-point lead over second-place Akiko Suzuki. Mao under-rotated her opening triple axel, then hit a triple flip and triple loop/double loop combination jump in a confident performance that left the capacity crowd enraptured. 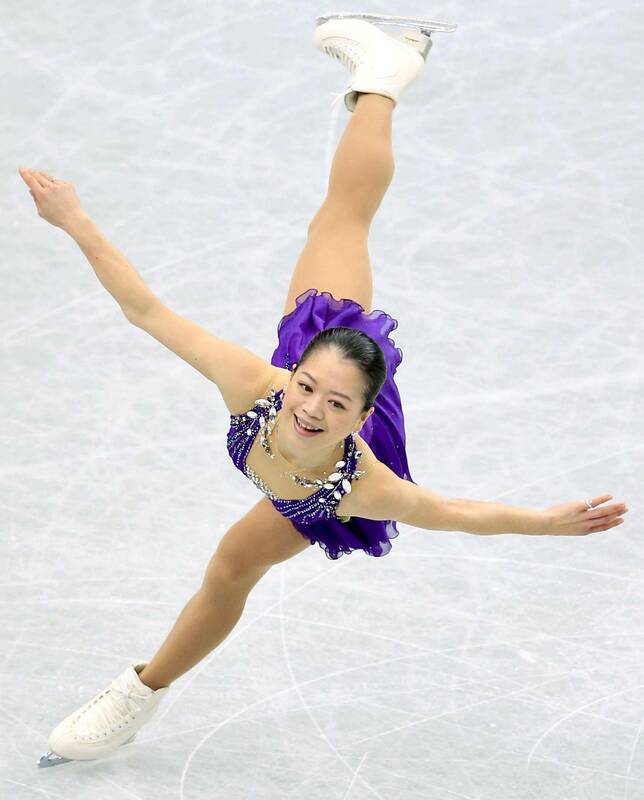 With her spot for the Sochi Games not in doubt, Mao was able to concentrate on refining her elements and working on her jumps. Nevertheless, the inability to cleanly land the triple axel remains a cause for concern with the expected showdown with Kim Yu-na in Russia looming. Mao considered her effort a positive building block moving forward. Suzuki skated last and put on a very impressive show for the audience. She competed to “Hymne a l’amour” and began with a triple toe loop/triple toe loop combo, before executing a triple flip and double axel. Despite under-rotating the back end of the combo, she was error free otherwise and received a standing ovation. The speed on her spins was especially impressive, and she looks to have a trip to her second Olympics nearly clinched. Suzuki, who is 28 now and has announced she will retire at the end of the season, exhibited why she has built a deep fan base over the years as she clinically moved through her program with flair. You could not have told that by the way she skated, though. “After the jumps I had a very good feeling throughout the rest of the program,” she noted. Though there was a lot of media attention focused on Miki Ando, it was Kanako Murakami who really displayed fortitude and stole the show. After struggling through the Grand Prix season with lackluster results, Murakami dug deep and put on a superb display under immense pressure. Murakami performed to “Violin Muse” and started with a triple toe loop/triple toe loop combo, then landed a triple flip and double axel without incident. She was sublime from beginning to end and is in third place with 67.42 points heading into Monday’s free skate. 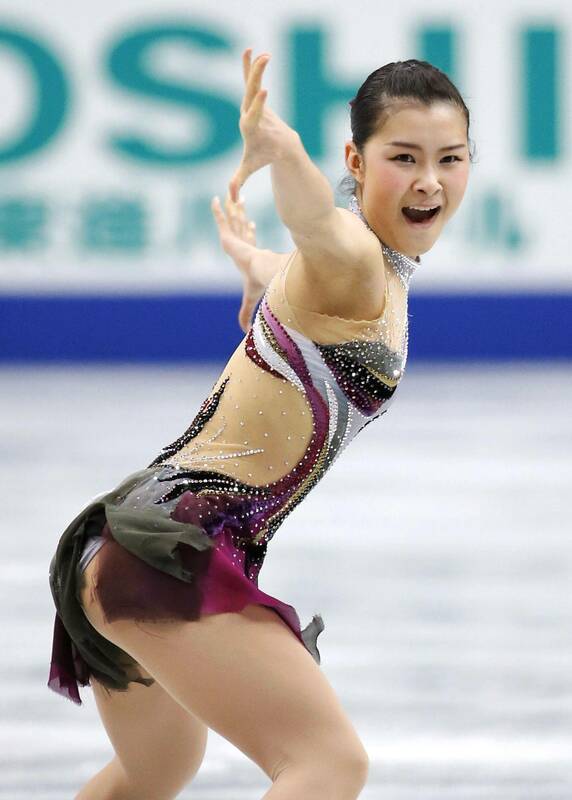 The Nagoya native made a wise decision by shelving the short program she used during the GP season and going back to the one she used two years ago. The 19-year-old Murakami knew well that the stakes were huge and her spot on the Olympic team was truly on the line. At the end of her program she burst into tears at center ice and continued to weep openly as she waited for her scores. It was a very moving scene, and understandable, as she has invested a great part of her life in trying to make it to the Olympics. When it all comes down to just a few minutes, the pressure is exponential. But Murakami rose to the occasion this day and it resonated with both the judges and the fans. It was the kind of effort that still had people talking late into the evening. Murakami said she was more pleased with her skating than her position in the standings. Ando is fifth on 64.87 after her skate to “My Way.” She showed she still has it by opening with a triple toe loop/triple toe loop combo, then hitting a triple lutz and double axel. 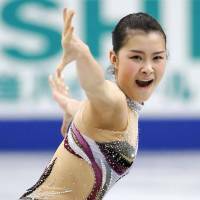 Ando’s long shot bid to make the team for Sochi is compounded, though, by both Murakami’s stellar outing and the fact that Satoko Miyahara is ahead of her in fourth place with 66.52. The 26-year-old Ando received a nice reception from the crowd, which clearly respected what she has contributed to the sport and that she is giving it another go after becoming a mother in April. But the results as they stand now make her bid for a third trip to the Olympics even less likely to be realized. Ando said her philosophy is to focus on what she can control. The Olympic teams for both the women and men will be announced following Monday competition. 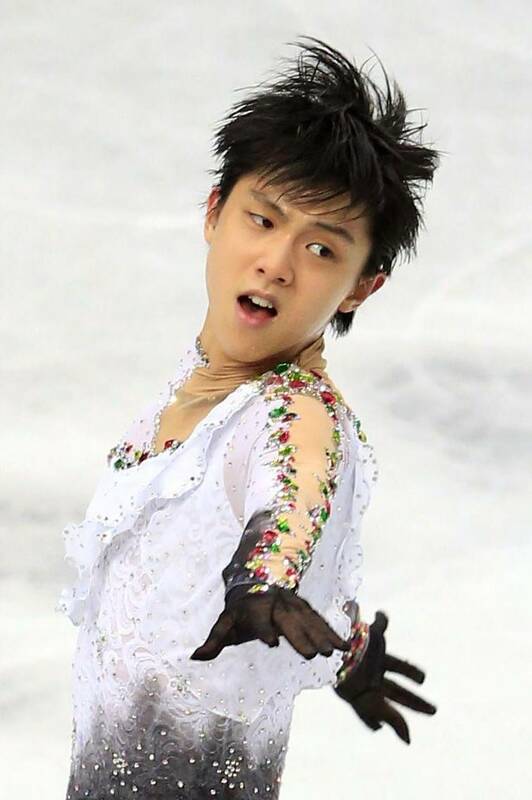 Yuzuru Hanyu captured his second straight national title with a decisive victory on Sunday night. Hanyu followed up his fantastic short program (in which he scored 103.10), with a solid free skate to finish with a total of 297.80 points. The Sendai native skated to “Romeo and Juliet” and fell on his opening quad salchow but quickly recovered and landed a quad toe loop. It was another impressive outing for the 19-year-old, who beat three-time defending world champion Patrick Chan of Canada to win the Grand Prix Final in Fukuoka two weeks ago. Tatsuki Machida came in second with 277.04, while Takahiko Kozuka was third at 264.81. Nobunari Oda (256.47) took fourth place. Daisuke Takahashi (252.81) struggled through an error-filled program which left him with a bloody right hand and finished fifth. Takahashi fell on his opening quad toe loop and touched down on a combo jump.